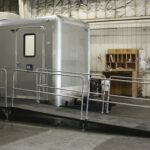 Easy Access ADA Compliant 3 Station Trailer 0 out of 5 based on 0 ratings. 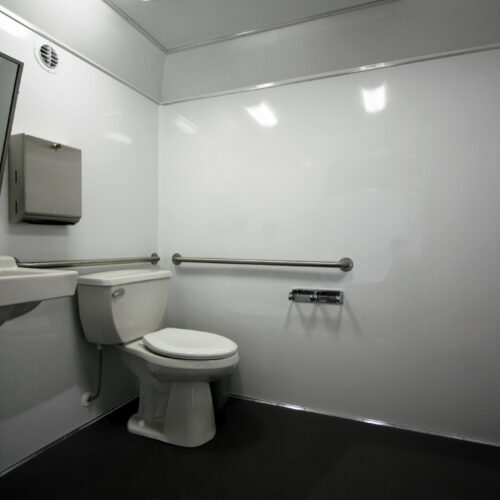 This 3 unit restroom trailer provides 2 standard restrooms and one easy access ADA compliant restroom each with all the amenities your workers or guests need. 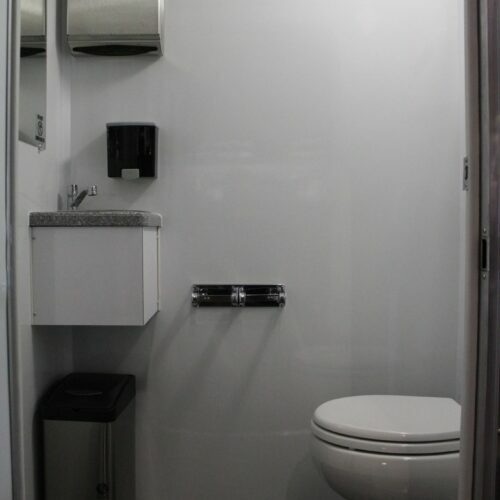 V2G Easy access ADA + 2 compliant 16′ restroom trailerThis trailer is top of the line, offering comfort for every guest including those with mobility issues. 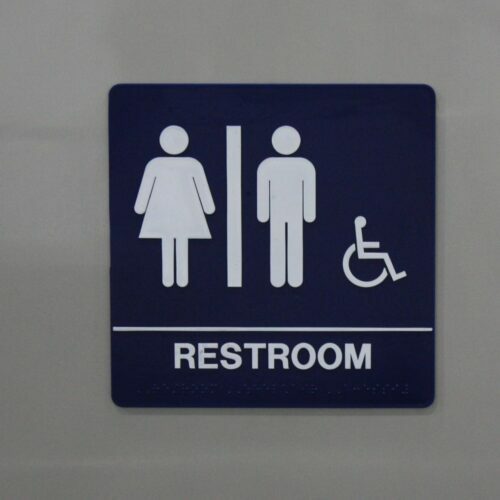 With this ADA restroom trailer the entire trailer drops down for easy access and less required ramp space. It includes a total of 3 stalls and 3 sinks, china flushing water saver toilets, chrome floor drains, skylights, solid surface sink top, delta water saver faucet, wall recessed towel dispenser, safety glass mirror, fluorescent lighting, LED exterior lights, 13,500 BTU AC, 425 waste tank, 130 fresh water tank with pump and more. 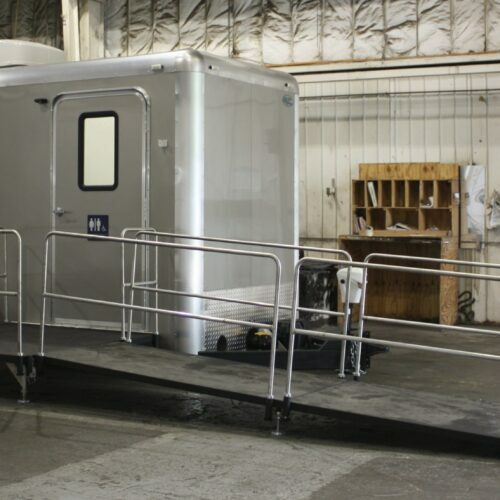 This ADA compliant trailer is a must at every job site or event where wheelchair accessibility may be needed.